So why should you care? Distributors are the face of your company. These guys sell your products and services. They fulfill—or undercut—your brand promise. If they’re not effective at their job, your sales will feel it. And hard. But there are steps you can take to change the situation. Take the time to understand your distributor, from his key employees to his day-to-day responsibilities. How big is his online business? Is he active on social media? Who does what at the distributorship? What engages him? What are his pain points? What’s he looking for from you? Knowing your distributor—really knowing him—begins with talking to him at times other than when a sale or promotion is involved. By better understanding the distributor and his world, you’ll be better positioned to offer the tools and resources he needs to do his job more effectively. This will not only improve his business, it will improve his life, giving him back his most valuable resource: time. Additionally, you’ll create an authentic business relationship—one both personal and professional—which will build trust between you and eventually, sales. The right tools and resources from you will make the distributor’s job easier and less stressful, freeing up time for him to tackle other, more profitable things—like lead generation for new business. Improving distributor operations will also win you big distributor loyalty points—points that will translate directly into added sales. What’s more, your tools and resources will help align your distributor’s brand with yours, creating a unified story at all levels of the channel. And that can serve as a key differentiator in a crowded market. Help them do business with contractors, particularly in the area of training. By supplying application-specific training videos, you not only meet their need for more technical product information—a need revealed in our study—you relieve distributors of the time-consuming training task, freeing up significant hours. Note that this is not training on your terms, it’s training on their terms, with videos that are formatted for mobile technology so contractors can access them on the job or after hours. Today’s ongoing digital revolution is changing everything, including yesterday’s marketing strategies. Manufacturers using the same old marketing formulas to reach and engage distributors are missing the mark, and product sales are reflecting that. 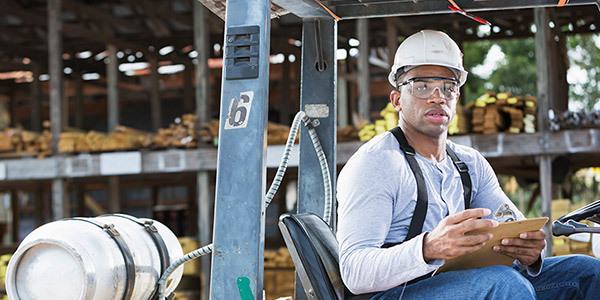 By offering distributors new tools and resources, distributor frustrations with time management will be eased, allowing them to do their jobs more effectively. Not only that: distributor loyalty will be strengthened and differentiated partnerships will ensue, increasing sales. For more distributor insights, read our whitepaper, Why Building Products Brands Are Falling Short With Distributors.